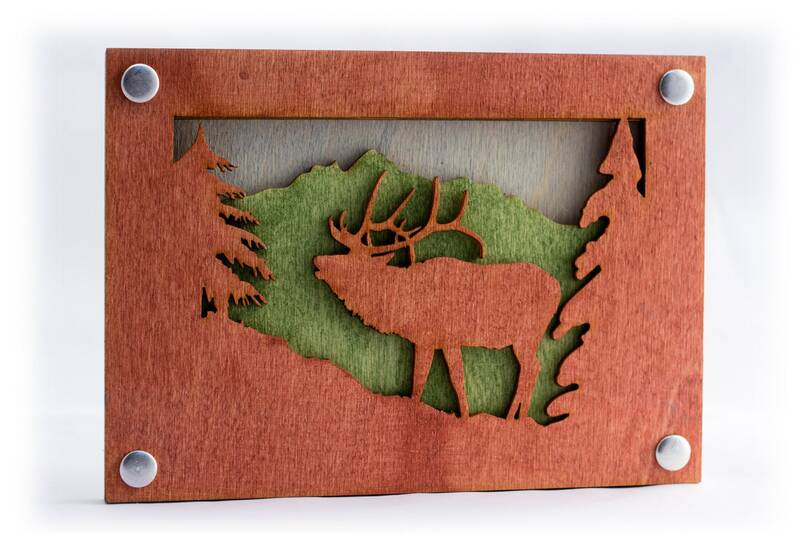 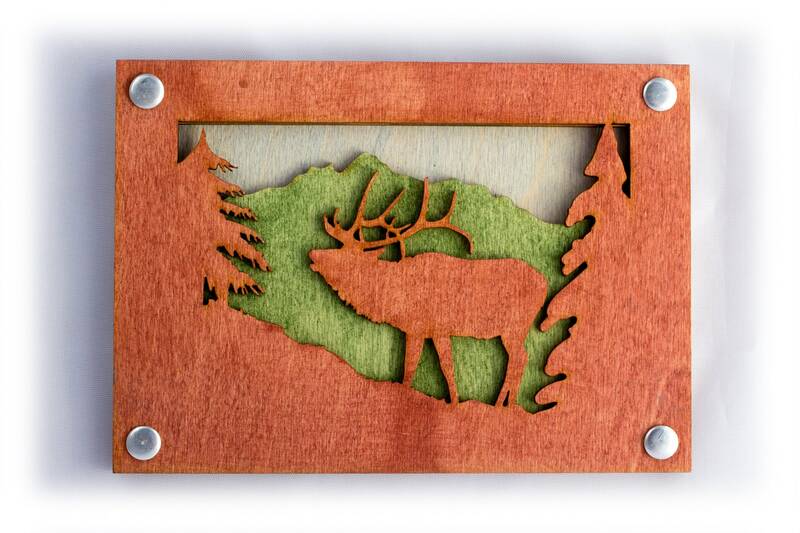 This Elk wall art reflects the vibrant colors of the nature. 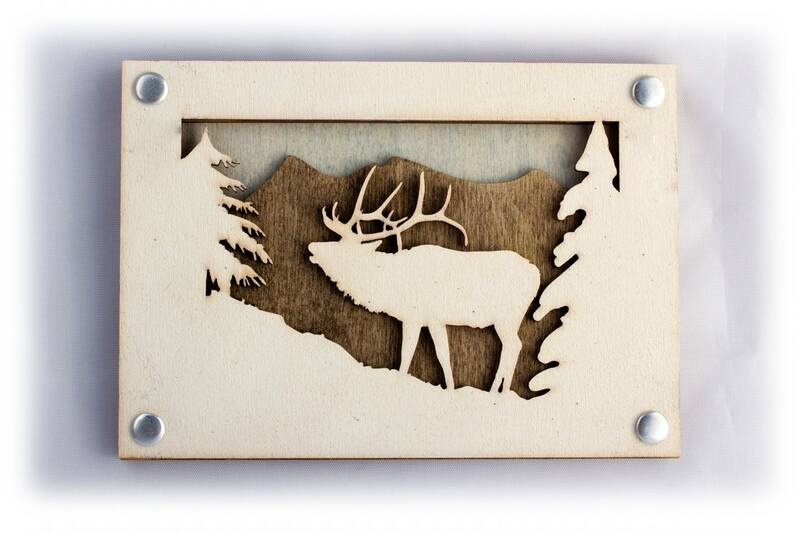 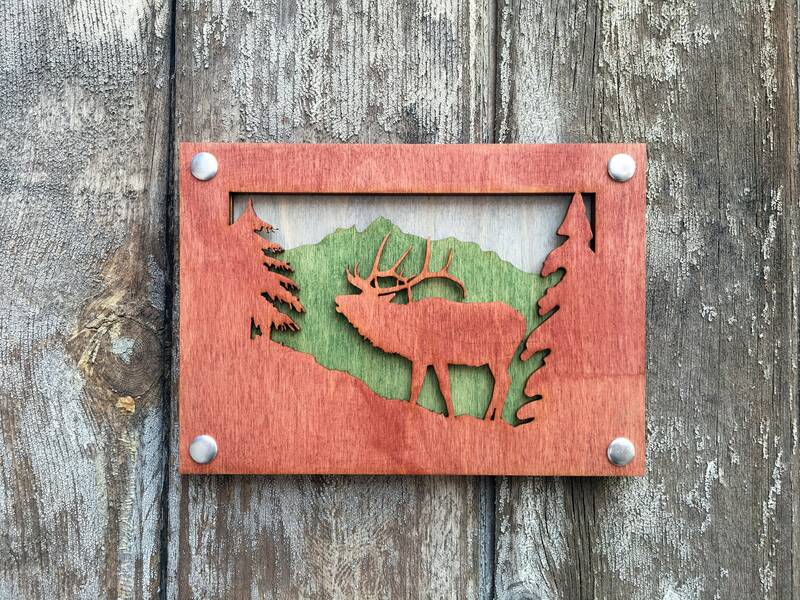 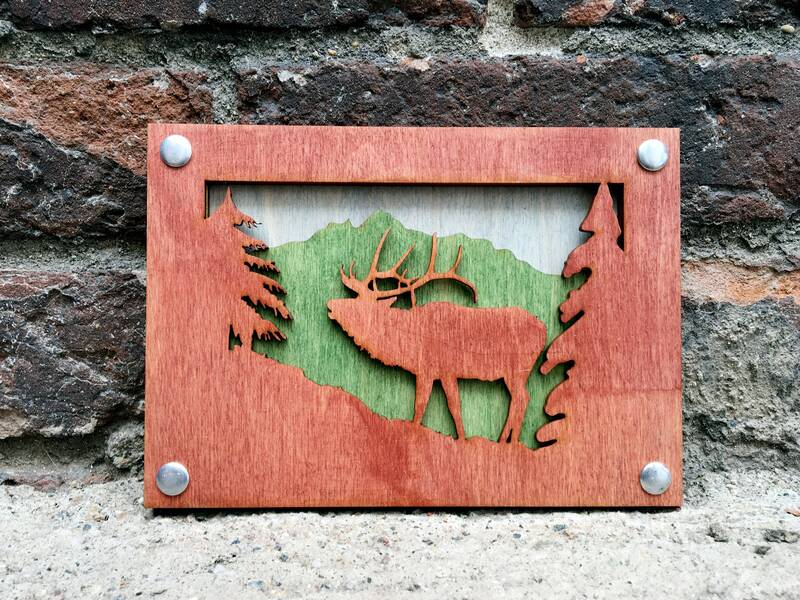 Perfect gift for elk lovers, new mountain homes and hunters. 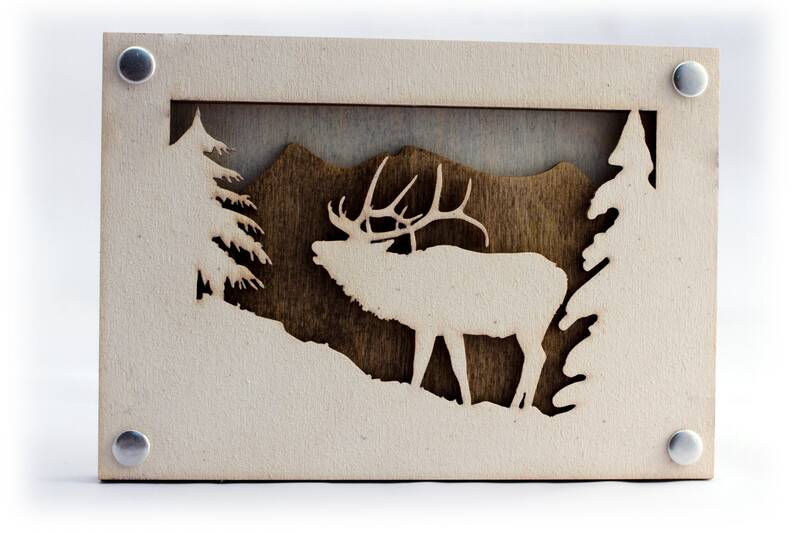 Elk walking in woods with trees and mountains behind.